Are you a dog person or a cat person or do you have an affinity for both? Are you, or someone you know, preparing to sell your home? If so, then you are ready to participate in our Haven Home program! 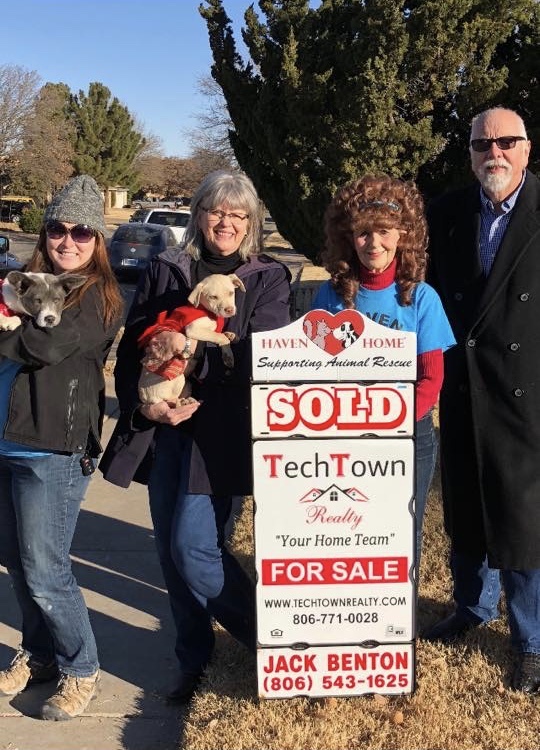 When you choose TechTown Realty to list and sell your home, you not only get expert representation from experienced and dedicated REALTORS, you also add your support to animal rescue! 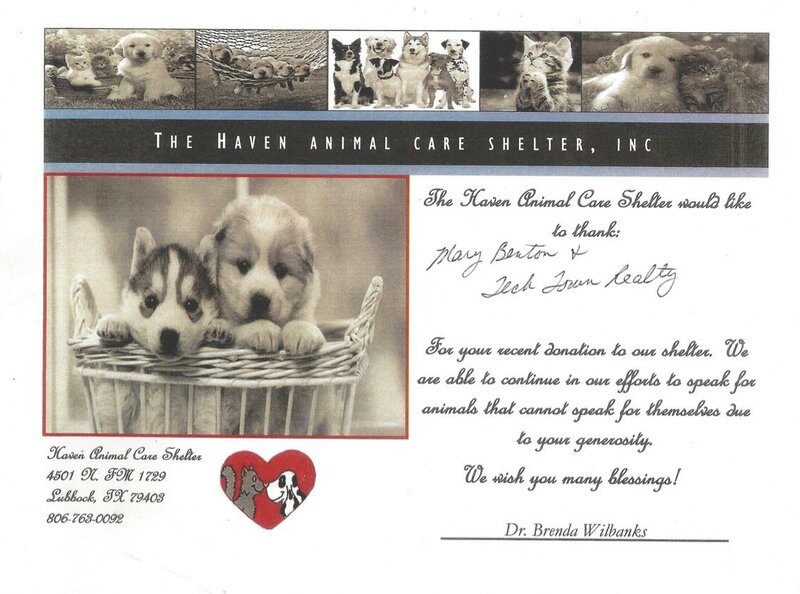 TechTown has partnered with the Haven Animal Care Shelter by providing support through community awareness and donations. When we sell a participating Haven Home listing, a portion of our commission goes directly to The Haven. When we started TechTown, we knew we wanted to give back to our community and we started looking at a variety of good causes. Day after day we became aware of the staggering number of lost and abandoned pets in Lubbock. We drove out to The Haven on a Saturday morning and toured the facility, met with Dr. Wilbanks and some of her dedicated volunteers. The cats, puppies and dogs in residence at The Haven really touched us. They all deserve a home and a family, so in 2017 we established the Haven Home program. We believe that everyone deserves a safe and comfortable place to live and we are here to help PEOPLE and PETS find homes. When you are ready to buy or sell a home, call us. If you are selling with TechTown, you are contributing to this great cause. In the meantime, if you have a heart for these pets and would like to find out other ways to support The Haven contact us or visit The Haven ACS website for additional information about volunteer opportunities or to make a donation.